Trumpeter Clifford Brown was 25 when he died in a car crash in 1956. His last performance was at Philadelphia’s famed Music City. Since 1988, his hometown of Wilmington, Delaware, has held the Clifford Brown Jazz Festival. It’s the largest free jazz festival on the East Coast. This year’s lineup includes Marcus Miller, Brian McKnight and Arturo Sandoval. A jazz head, Soupy’s guests included jazz giants like Charlie Parker, Dizzy Gillespie, Billie Holiday, Lester Young, Gerry Mulligan, Ella Fitzgerald, Louis Armstrong, Duke Ellington, Thelonious Monk and Miles Davis. The only extant footage of Clifford Brown is from his 1956 appearance on the show. For info about the DuPont Clifford Brown Jazz Festival, click here. On June 26, 1956, legendary trumpet player Clifford “Brownie” Brown had just left performing at Music City in Center City when he was killed in a car accident on the Pennsylvania Turnpike. He was only 25. I decided I would try to write a song that would be reminiscent of Clifford. And during those days, I could write a song in one day. You know, just a half-hour or so—might not have been that great though. But this tune, because of what he meant to me as a friend and fellow musician and what I wanted the song to be, consequentially, it took me almost a whole two weeks to do it. And once I did it, I wasn’t sure what I had. He came over and sat down at the table and I started to play this tune and he said, “Hmm…” And then he started to take his trumpet out of the case and I thought to myself, “The man doesn’t even know the tune and he’s going to try to play it!” But he fooled me. On June 30, 2016, Saxophonist and composer Benny Golson held forth at the Parkway Central Library. A podcast of the event is available here. 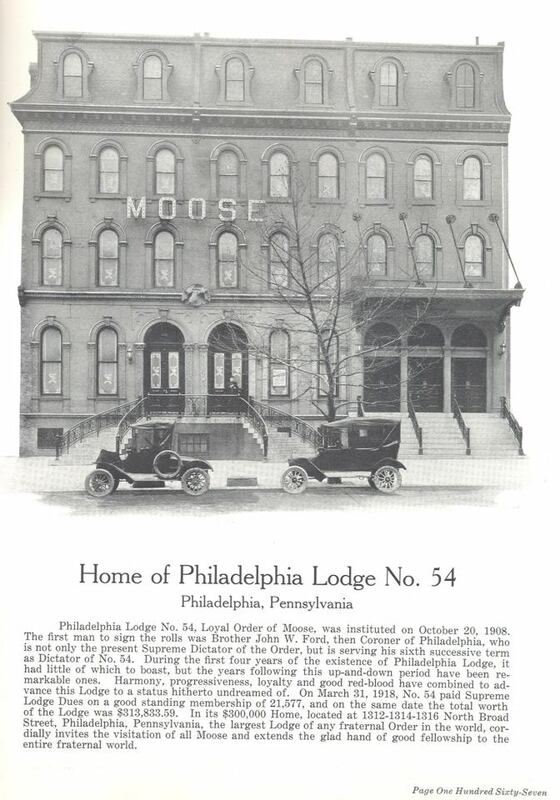 The Blue Horizon was located in the former Loyal Order of Moose Lodge 54. The property ceased operations as an active Moose lodge shortly after World War II. It remained under the organization’s ownership through the 1950s. At some point, the members-only bar was transformed into a jazz venue that was open to the public. The Camero Club played host to legends-in-the-making like trumpeters Fats Navarro and Clifford Brown. 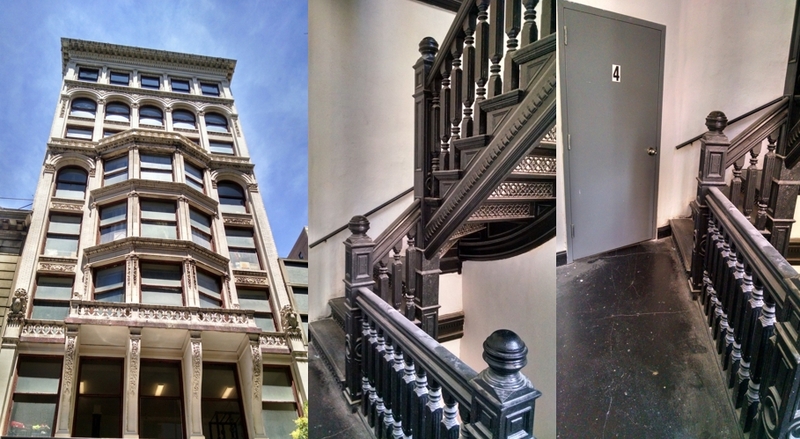 In 1961, Jimmy Toppi Sr. purchased the property for $85,000. He renamed it after the song “Beyond the Blue Horizon” from the 1930 film “Monte Carlo.” Its limited seating capacity meant big box office fights took place elsewhere – at the Arena and Convention Hall in West Philly, and the Spectrum in South Philly. The Blue Horizon closed in June 2010. Trumpeter Clifford Brown was only 25 when he died in a car crash in 1956. His last performance was at Philadelphia’s famed Music City. Since 1988, his hometown of Wilmington, Delaware, has held the Clifford Brown Jazz Festival to honor his memory. Fittingly, it’s the largest free jazz festival on the East Coast. This year’s lineup includes Norman Conners, Leela James and Pieces of a Dream. For the complete schedule, visit www.cliffordbrownjazzfest.org. In 1947, drummer Ellis Tollin and his business partner William Welsh opened Music City. What started out as a drum shop became a unique performance space where top jazz musicians, including Charlie Parker, Dizzy Gillespie and Miles Davis, held jam sessions and mentored up-and-coming musicians like Lee Morgan, Bobby Timmons and Archie Shepp. It was like the scene in Philadelphia for young cats and old cats. They would bring guys in from New York to play and they would have the young guys sit in with them. If you played pretty good you always ended up with some kind of gig. Jazz legend Clifford Brown gave his last performance at Music City. He left directly from there for a gig in Chicago. He never made it. He was killed in a car accident on the Pennsylvania Turnpike. On Tuesday evenings in the mid 1950s, young jazz enthusiasts from all over the city would gather inside the popular music store, Music City, at what is now 1033 Chestnut Street. Some came to jam, while others sat back and listened to intimate performances by major players of the era. It was an especially fertile period in Philly jazz when the city hummed with lively clubs and was home to many of the genre’s important instrumentalists. For aspiring teenage musicians who were too young to get into the clubs, Music City was a place to trade notes with fellow young players and even to play with their musical heroes if they were lucky. Many emerging Philly jazz performers of the 1950s cut their teeth there. [Clifford] Brown had established himself as one of the top trumpeters in jazz by the mid1950s. He was living in Philadelphia during this period and was a frequent, featured guest at Music City. As the original story went, Brown performed at the store on the evening of June 26, 1956, accompanied by Ellis Tollin on drums and several other Philly musicians, and left directly from there to drive to a gig in Chicago. With him on the trip were the pianist Richie Powell and his wife, Nancy, who did the driving. On the Pennsylvania Turnpike between Harrisburg and Pittsburgh, the car ran off the road and crashed, killing all three.